Catching older fish may impact a school’s ability to migrate from spawning grounds to feeding areas, according to a recent study published in the Journal of the Royal Society Interface. The study’s scientists believe that fish schools may retain a collective memory, a communal mind map of sorts, which help these groups reach their destinations, some of which are thousands of miles away. Such migratory patterns would be held in the minds of the older and more experienced fish, unfortunately the same fish most targeted by fisheries. Given this, the scientists hypothesize that overfishing could lead to drastic changes in group formation, migratory patterns, and overall collective behavior. An image of an Atlantic bluefin tuna. Image in the public domain. The model is based on three assumed factors that control school migration behavior: the strength of social communication between fish, the number of experienced fish that understand and know the migration routes, and the preference these knowledgeable fish have towards a particular destination. 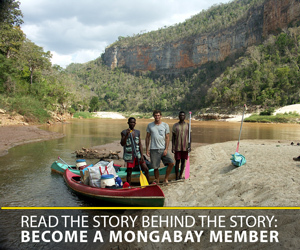 Furthermore, if a group no longer migrates to a certain destination then the next generation does not learn the route and it ultimately gets lost – the transmission of knowledge between fish generations becomes critically impacted. 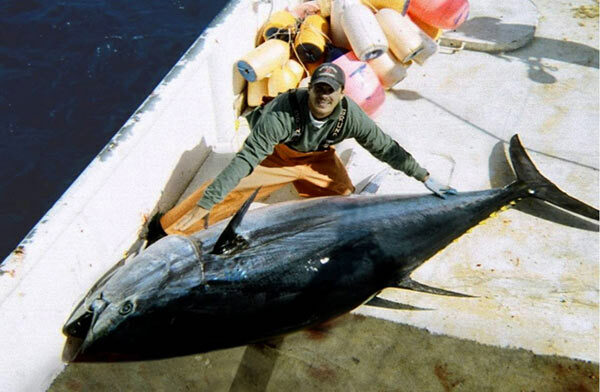 Large Atlantic bluefin tuna on deck. Photo by: U.S. Federal Government. The scientists point to the Atlantic bluefin tuna as an example of one such ‘lost migration.’ Atlantic bluefin tuna used to migrate to the North and Norwegian Seas to prey on herring, but, today, have largely vanished. Overfishing and degradation of habitats are the main threats to the collective memory of migratory fish. Many species, such as the Atlantic bluefin tuna, have intricate migratory patterns, which are greatly altered by overfishing. De Luca and his colleagues hope that by making these scientific results available to the larger community, policymakers may in turn change regulations. 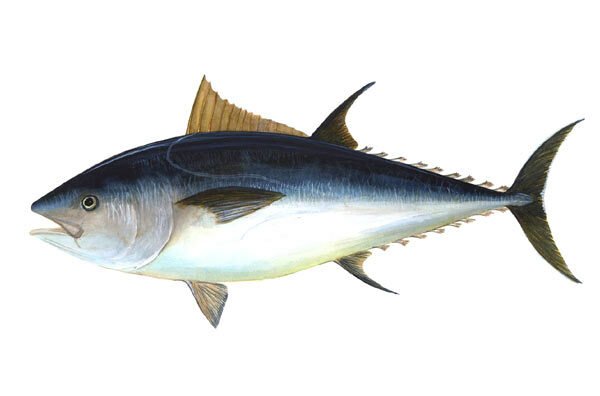 “Since many migratory species, such as Atlantic bluefin tuna, are also of great economical importance it is very difficult for policymakers to enforce more restrictive policies, but it definitively has to be done if we want to preserve the biodiversity of our seas,” De Luca concluded. (10/22/2014) On the morning of July 14, 2002 Qi Qi ate breakfast as he always did. As the world’s only captive baiji – or Yangtze river dolphin – Qi Qi was something of a celebrity in China and his caretakers kept a close eye on his health. That care may explain why, after being injured by fishermen, he lived an impressive 22 years in the Freshwater Dolphin Research Center in Wuhan, China. (08/06/2014) The iconic blue-footed booby of the Galapagos Islands has suffered a population decline of 50 percent in less than 20 years, according to research conducted by biologists from Wake Forest University. (06/09/2014) Scientists analyzed almost half a million fish bones to shed light on the population history of Pacific herring (Clupea pallasii) in the North Pacific Ocean. Their paper reveals a decline of unprecedented scale, and suggests that while the abundance of Pacific herring does fluctuate naturally, their numbers have fallen precipitously since commercial fishing started targeting the species in the 19th century.